A Mango Bay all-inclusive experience also includes hotel accommodations, all meals, afternoon tea, all local and brand name drinks including glasses of wine, use of the gym, watersports (waterskiing, hobiecat sailing, kayaking and snorkeling) and nightly entertainment. Mango Bay (www.MangoBayBarbados.com) in Barbados invites families to plan their summer vacation at the boutique-style property by affording guests one free night when booking seven, and four free nights when reserving 14 through the Summer Family Free Night Special. In addition, children 12 years old and under stay free and teens (13-17) receive a special rate of $100 per person, per night when sharing a room with two adults. The Summer Family Free Night Special is valid on new bookings made through July 31, 2011 for travel through Dec. 18, 2011. 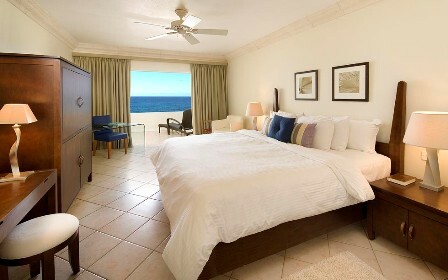 All-inclusive rates start at $350 per room, per night, based on single or double occupancy with government tax included. For added-value, Mango Bay will maintain its current rates through 2012 despite the Barbados government increase in the Value Added Tax (VAT) rate on hotel rooms from 7.5% to 8.75% effective May 1, 2011. Mango Bay will also absorb the tax increase so travelers do not need to pay it. Guests have the option of exploring the shopping centre of Bridgetown on Mondays, Wednesdays and Fridays, with complimentary transportation leaving from the hotel, where they can walk along Broad Street, the main street of Bridgetown, discovering duty free shops, department stores and local restaurants. Shopping enthusiasts will enjoy in Mango Bay’s hometown of Holetown with the opening of the new Limegrove Lifestyle Centre boasting high-end stores such as Ralph Lauren, Armani Exchange, Agent Provocateur, Cartier, and MAC Cosmetics, with Louis Vuitton opening in the coming months. On Tuesdays, Thursdays and Saturdays families can embark on a catamaran trip off the resort’s coastline. Guests sail for two hours and enjoy snorkeling and sunbathing on the open sea. A Mango Bay all-inclusive experience also includes hotel accommodations, all meals, afternoon tea, all local and brand name drinks including glasses of wine, use of the gym, watersports (waterskiing, hobiecat sailing, kayaking and snorkeling) and nightly entertainment. Spa treatments are available for an additional fee at the Elements Spa located at the resort. The property is within walking distance of many shops in Holetown, 25 minutes from the capital city of Bridgetown, and 45 minutes from Grantley Adams International Airport.